Samsung introduced today advanced eight gigabyte and sixteen gigabyte high performing NAND Flash embedded memory chips that are manufactured for use in smartphones at the upcoming seventh annual Samsung Mobile Solutions Forum. This new memory solution for smartphones is the first in the industry to be fully compatible with the e-MMC specification. 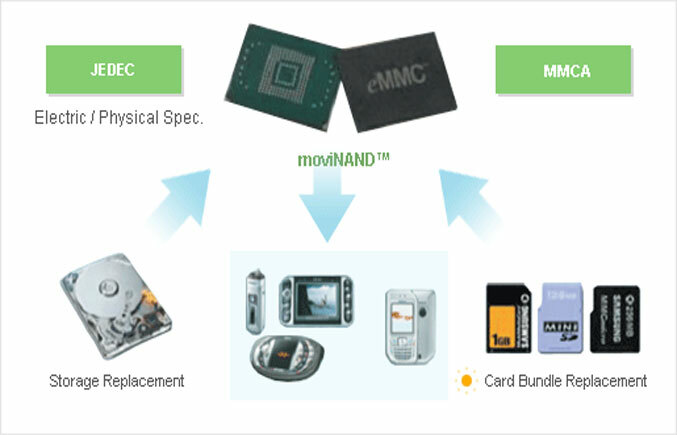 By adopting the new e-MMC 4.41 specification, which offers higher performance, Samsung’s moviNAND can perform much more efficient than the previous solutions manufactured for the e-MMC 4.4 specification, thanks to the features that offer responsiveness of the application processor, or the e-MMC device. 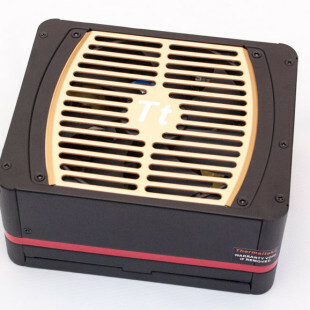 Using the single-level cell for higher speed operations and the multi-level cell for high density data storage has been used as a flexibility of partitioning storage space by designers on the previous e-MMC 4.4 interface, but the new e-MMC 4.41 interface provides a significantly enhanced user experience with improved background operation features. Samsung’s latest moviNAND chips also enable efficient order processing with the new standardized features. In addition to Samsung’s latest moviNAND high-performance chips, they are also introducing a new ultra-thin five chip (multi-chip package) solutions, measuring at just one millimeter. The current four-chip (multi-chip packages) are 1.15mm in height. These offerings will be available by the end of the year 2010 for use in applications for mobile devices. The 8GB moviNAND chips are already in production by Samsung and are expected to arrive this month. Samsung also plans to integrate their new line of 20nm-class 32Gb NAND chips for upcoming moviNAND products later in 2010. Find Objects – can you do it?